Homeowners everywhere face the same problem: expenses always seem higher than they should be. Spending, when left unchecked, can easily start to get out of hand. But once you start to get comfortable it can be difficult to cut back and save more. There are some things you need to spend money on – such as your mortgage, insurance, food and utilities – and others that aren’t necessary. Normally, one might assume that you should just cut the unnecessary spending. But what if there was a way to reduce your spending without cutting anything? 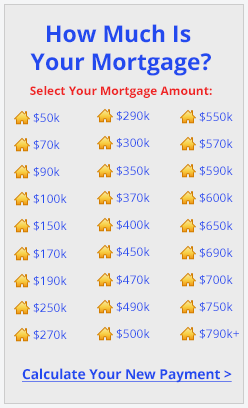 Your mortgage payment is probably the largest monthly bill you have. This bill can easily be reduced with a refinance. VA eligible homeowners will have two refinance options to pick from, and both have their own set of benefits. 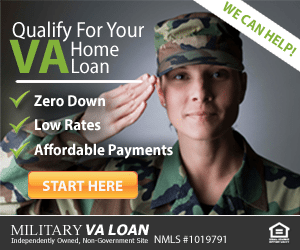 The VA streamline refinance is the simplest way to get a refinance loan. You won’t need to prove your income or go through another appraisal – instead, you’ll just submit your information and go through the process (hence the term “streamline”). The one catch with the VA streamline refinance is that, to be eligible, you need to be lowering your mortgage rate. When you lower your mortgage rate, your monthly payments will be reduced, so there’s no drawback to this. So, for speed and convenience while saving money, a streamline is a good option. The other type of refinance option available to VA homeowners is the VA cash-out refinance. 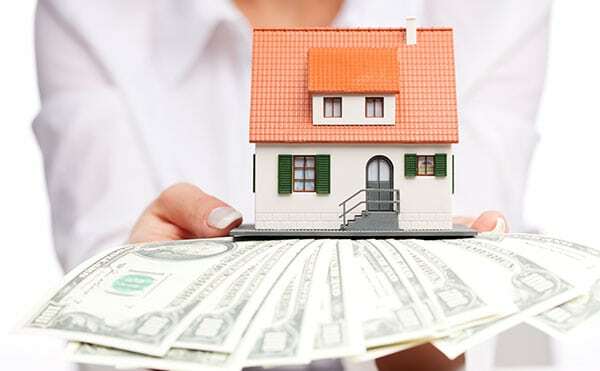 This refinance lets veterans pull money out of their home equity in the form of cash – and that cash can be used for anything. To save money on monthly costs and payments, this cash can go toward paying off credit card debt with a high interest rate, or even toward updating your home to be more energy efficient, saving money on monthly payments. Many VA homeowners reduce their mortgage rate, too, which leads to lower monthly payments. Click to begin your VA cash-out refinance. Small changes here and there can save you a lot of money over time. If your HVAC is expensive, then it may be time to replace your air filters. You should be replacing your air filters every year or two, so this may be past due. Electricity is also a big money spender for homeowners. The quickest way to reduce your costs is to update your lightbulbs to LED or CFL bulbs. These use less energy and can last longer than incandescent bulbs. Another easy way to reduce electricity costs is to invest in timed power strips. Some devices can be turned off when you aren’t using them, and a timer will remember to shut them off for you. A lot of little changes will start to add up. You were required to get homeowners insurance when you got a mortgage. But have you changed your insurance since then? The odds are that your credit has improved since you purchased your home. Like with auto insurance, a higher credit score is going to give you better rates on your home insurance. Even if your credit hasn’t changed much, it doesn’t hurt to shop your homeowners insurance. Unnecessary spending is the easiest way to save money, so you should take a hard look at where your money is going. There can be ways to reduce your costs without actually losing anything. For example, look at your phone bill. Are you paying for more internet than you need? A quick change can reduce your monthly costs, and you may not even notice the difference. Cable is another area where you can cut costs. Most people don’t watch many of the channels they get and sacrificing a few is a small price to pay when you save money. Overall, just take a look at everything you pay monthly. Figure out how much you can reduce that by and multiply it by 12 to get how much you’ll save in one year. Then look at how much you’ll save in two years, or five years. Is it worth spending that much? If not, it may be time to cut it. As a homeowner you have your own kitchen. You may as well be using it! Eating out and food delivery are convenient and tasty, but you have to pay extra for the service. Preparing your own food is much less expensive, especially if you shop at lower cost grocery stores. If you have the room outside, you may even want to consider growing a garden. The process of saving money isn’t always fun and can take time, but the end result is always more money on a monthly basis and less to worry about spending it on.